The latest upgraded version ticks all the boxes. One engine is available, 1.6 petrol or diesel version. A six speed automatic or manual gearbox is available. The manual diesel returns up to 46.3mpg. The ride is good with plenty of grip on offer. The boot is more than ample with 354 litres spare. The rear seats fold down to increase this to 1,367 litres. The Connect Plus trim level is our favourite with adjustable steering wheel and comfortable front seats complimenting the higher seating position perfectly. Connect Plus also comes with an 8-inch touch screen to control the main functions. The panoramic sunroof on the higher trim levels is particularly impressive and a worthy addition. 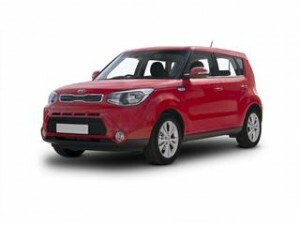 Here at Coast2Coast Cars we can make it as enjoyable to purchase the new Kia Soul as it is to drive it. Our network of Kia stockists has options that could save you hundreds possibly thousands of pounds in the purchase price. It takes minutes to get your quote online with no obligation at all and we do all the work for you including helping you arrange finance on your new Kia too.